New Author Publishing | Andrea Wolfe . If the Moon was a Heart asks the question: What is the power of Love? The inspiring story and colorful images encourage conversation and the sharing of thoughts, ideas and hope. Ages 1-100. 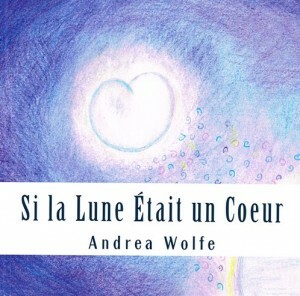 Si la Lune Etait Un Coeur Cover pose la question: Quelle est la puissance de l’amour? L’histoire inspire et les images encouragent la conversation, les idées et. 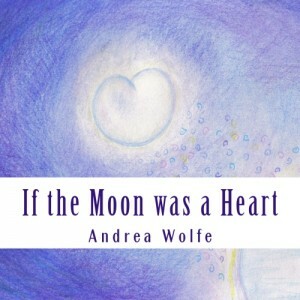 Andrea Wolfe is an artist who is inspired by love and energy in the world and people around her. 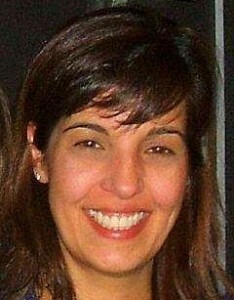 She is the Author/Illustrator of her first children’s book titled If the Moon was a Heart. She also has a selection of Energy Art that can be seen at her on-line gallery www.andreawolfe.com. She began to develop her own style of Energy Art as a form of meditation by placing her thoughts on a person, place or event. When she began sharing her art with family and friends, she was amazed by the thoughts and meanings that were interpreted by others. Ginette wrote: “When we express what the heart feels through our creativity we never know which other souls we are reaching and touching. May this be another confirmation of grace and blessings for your beautiful heart. I’m so proud of you Andrea. Buy this book for your children. It is a beautiful book to read with your family. I have given it as part of a baby gift. Author Andrea Wolfe recently visited our Grade 1/2 classroom to read aloud her insightful text and to create a related art activity with the students. The children thoroughly enjoyed the mystical drawings which prompted many practical and spiritual questions. Andrea’s naturally caring manner with the little ones drew them in and her written words inspired them to write their own stories based on what they felt following her visit. Thank you Andrea for taking time to join our class and serve as a role-model for our future writers and for sharing your passion/ talents. This book had lovely images and thoughtful words that make it a Mecca of love for anyone who reads it. Good for little ones interested in images and adults looking for a good take on life. I highly recommend this great read. This little book carries a powerful message of universal love and joy! What a gift to the world! The book, IF THE MOON WAS A HEART, has a heart of its own, and the amazing artwork gives life to the message being conveyed in the book. It is to be read and enjoyed again and again! I have asked many questions. Many lately. Some I may not need answers to, others that are unanswerable…None are as profound and yet as simple as the question this book, If the Moon was a Heart, asked me today. While I do not have words to express how wonderful reading this book is, know that as a reader, I am forever grateful. Grateful to know that another human being also asks these questions. Asks these questions with an open heart and has the courage to ask them “out loud”. The illustrations are beautiful and peaceful. I can picture reading this aloud in any classroom. The book is a springboard for many different lesson plans. Every teacher should own at least one copy of this book. In a few simple pages your book has a more powerful message than most deeply researched hard cover best sellers. You should be proud of what you have created. We all think its excellent work.